Regardless of if it is your home or your commercial building that we’re talking about, scheduling quarterly pest control services is extremely beneficial. Here at Earthwise Pest Management, we look at the root of the pest problems that we come across. More often than not, we have to look at the base reason that attracted pests to infest this space in the first place. Today we’re going to touch on a few of the reasons that you should be scheduling quarterly pest control services. Let’s dive in! Various products are designed to take care of pest control problems that you can buy at your local grocery or hardware store. The downside to these products, however, is that they only speak to the surface level of your pest control problem. Sure, they eliminate the pests that you might have crossed paths with, but these methods don’t get anywhere near the root of the problem. Only a professional can do that. So many pests pose a serious health risk to you, your family or your employees. Aside from droppings and bodily fluids being a serious health issue, various pests are capable of carrying disease and spreading it. The downfall is, you never know when a pest has a disease! By scheduling routine pest control maintenance, you can avoid the chances of crossing a diseased pest. In many cases, pest control problems go unseen and unheard. We believe that this is one of the scenarios where “Out of Sight, Out of Mind” should not be the case. If you let the pests in your home remain unseen and unheard, you wind up with a bigger pest control problem than you’d like to deal with. Rather, scheduling routine maintenance and take preventative measures to avoid these problems altogether. With new seasons come new pests. Here in Sacramento, you can expect to see a different pest around the home or office as soon as seasons change. Even though you may have had your space cared for in regards to pest control, each pest requires a different approach. With quarterly pest control services being scheduled, you can ensure that the professionals are taking seasonal changes into consideration. There’s no price tag that you can put on peace of mind. Knowing that there aren’t any pests in your home or your business is amazing, but it doesn’t come without taking preventative measures. The only way to confidently know that there aren’t any pests around you is by knowing that there is a professional coming in, checking, and providing you with preventative pest control methods. At the end of the day, it’s this peace of mind that we all seek. Routine pest control maintenance is the best way to prevent pests in your home or commercial space. Preventative measures alone are one of the best ways to ensure that there aren’t pests in your space. 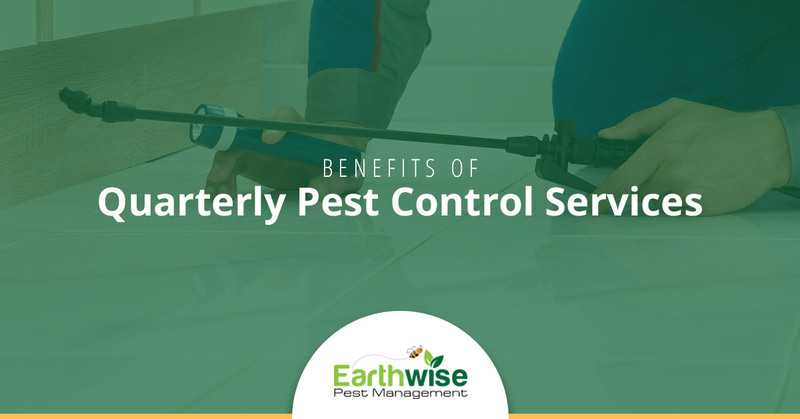 Make sure to schedule your routine services with Earthwise Pest Management to ensure that you don’t come across any pest control problems in your Sacramento home or commercial building. Learn more about commercial pest control services and our residential pest control services today!